INDIANAPOLIS – The POWRi Lucas Oil WAR Sprint League has released a schedule that features 28 events at 17 dirt tracks across the Midwest. The slate kicks off in March and comes to a conclusion in September with several busy summer months in between. The season begins with a doubleheader set for March 29-30 as a pair of races at U.S. 36 Raceway in Osborn, Mo., and Eagle (Neb.) Raceway get the ball rolling. 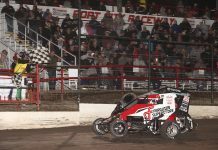 The month of April showcases three potential events with a race at Springfield Raceway (April 6), the series’ inaugural trip to Tri-City Speedway (April 19) and an event on April 20 that will be announced later. The month of May features the busiest stretch of racing across the schedule with the potential for four straight weeks of action. The month begins on May 3-4 with events at Valley Speedway and Lucas Oil Speedway, followed by another doubleheader weekend on May 10-11 at Humboldt Speedway and Salina Highbanks. The May 18 is currently open, but the May 25-26 slots have been filled by Lake Ozark Speedway and Double-X Speedway. June will highlight two more trips to Valley Speedway (June 7) and Lake Ozark Speedway (June 8), with trips also in line to Tri-City Speedway (June 28) and Spoon River Speedway (June 29). July opens with a bang as WAR partakes in the inaugural Corn Belt Nationals at Knoxville Raceway on July 5-6, a two-day event offering up $20,000 to the champion. Saint Francois County Raceway (July 26) and Belle-Clair Speedway (July 27) resume their normal paired weekend to close out July. The Ultimate Challenge at Southern Iowa Speedway is back for another year with a Tuesday trip to Oskaloosa, Iowa, on Aug. 6. The WAR Non-Wing Nationals has also been tabbed for a return with a two-night stay in Eldon, Mo., at Lake Ozark Speedway on Aug. 16-17. The final points-paying weekend of the year occurs on Aug. 31 and Sept. 1 with a weekend spent at 34 Raceway and Jacksonville Speedway. Finally, the POWRi Lucas Oil WAR Sprint League campaign concludes with the Jesse Hockett/Daniel McMillin Memorial at Lucas Oil Speedway in Wheatland, Mo., on Sept. 19-21. 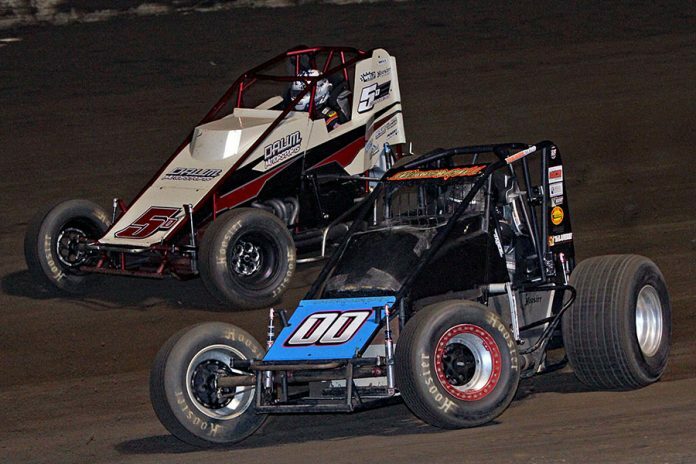 Last year, this event drew the most entries of any non-winged sprint car race in the country, with 78 competitors pouring into the pits and onto the track to honor Jesse and Daniel. Along with the new schedule comes a new format for the points payout. 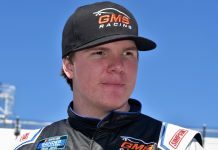 All drivers that finish top-10 in points and run 90 percent of completed races will receive a minimum of $1,000, with the champion taking an extra $1,000 on top of that. Other bonuses come in the form of most feature wins ($250), most hard charger awards ($250), most heat race wins ($250) and perfect attendance ($200). March 29 – U.S. 36 Raceway – Osborn, Mo. March 30 – Eagle Raceway – Eagle, Neb. April 6 – Springfield Raceway – Springfield, Mo. April 19 – Tri-City Speedway – Granite City, Ill.
May 3 – Valley Speedway – Grain Valley, Mo. May 10 – Humboldt Speedway – Humboldt, Kan.
May 11 – Salina Highbanks – Salina, Okla.
May 25 – Lake Ozark Speedway – Eldon, Mo. May 26 – Double-X Speedway – California, Mo. June 7 – Valley Speedway – Grain Valley, Mo. June 8 – Lake Ozark Speedway – Eldon, Mo. June 28 – Tri-City Speedway – Granite City, Ill.
June 29 – Spoon River Speedway – Lewistown, Ill.
July 26 – St. Francois County Raceway – Farmington, Mo. July 27 – Belle-Clair Speedway – Belleville, Ill.
Aug. 16-17: Lake Ozark Speedway – Eldon, Mo. Sept. 1 – Jacksonville Speedway – Jacksonville, Ill.
Sept. 19-21 – Lucas Oil Speedway – Wheatland, Mo.